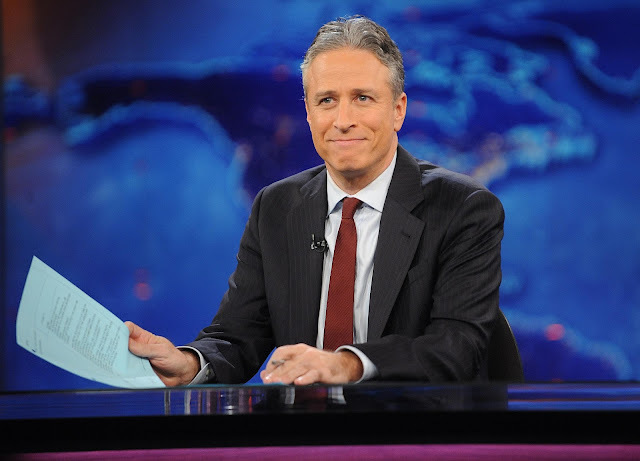 Watching Jon Stewart's last Daily Show was harder than watching the last Friends, the last Knot's Landing (my favorite 80s guilty pleasure), even the last M*A*S*H. There haven't been too many shows I've watched whose final broadcasts have had the same effect on me that Jon Stewart signing off did. Jon Stewart is one of a kind. The best at what he did. The voice of a generation. The voice of reason. He did news better than actual news channels. He will definitely be missed. I know I'm not the only one, so I'm just going to say it out loud - I cried watching him say goodbye. He choked up, he was full of emotion, and he was so real. I know it's a TV show, but still. He spoke to us. For us. About us. 2013: Too Unorganized To Organize, But I'll Bet They Have Thirty Minutes To Write A Letter2012: Islands Are Out, But What About Canals? 2005: Why Did The Chicken Cross The Road? Look At Me. I'm Three.